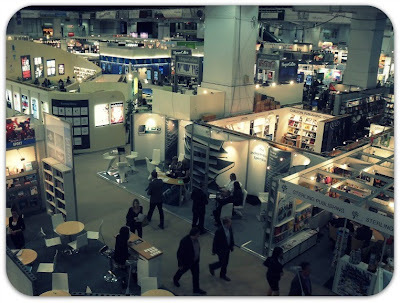 Papillon Bleu UK: London Book Fair and...MY FIRST BOOK! London Book Fair and...MY FIRST BOOK! Here I was in the middle of Heaven...OoooOOOps! I mean... BOOKS ! Wondering what would be the best thing to do with my story. I was diving in the middle of some of my favourite illustrations by Rebecca Dautremer when... I realised I wasn't on my own ... I decided to breake the ice... or did he? "May I have a look at your beautiful book?" he asked. Well, you see my dear friends,today I was at the London Book Fair and I have made delightful encounters like this one all day long. You might want to know that I was there with something very special in my bag: my book! It is finished ! At last! I went to meet the printer, chose the paper, the size, asked lots of questions and came back with a bag full of catalogues. Lots of lovely chats, cards given , hands shaken, it was a very exciting day! The first copies are going to be self-published as Moochoo is also an independant publisher . It would be soooooooo stupid of me not to give it a go,don't you think? Some of you might be interested to be the first to have a signed copy and I would be extremely honoured to keep one of the first on hold for you. Please, just let me know by leaving a comment here or send me an e-mail so I will know how many will be printed for this first edition. My heart is beating so fast with excitement ! I just want to believe something nice is happening. PS: It's been taking me ages to visit everybody lately so please forgive me if I haven't come back to you yet. Patricia! I am thrilled! Sign me up for a copy because I'm jumping for joy for you! YEA! P.S. I have company coming from England. Wish you were coming, too! Raising hand very high while trying desperately to send a huge congrats hug across the waters!!!!!! I am sooo proud of you Patricia!! A published Author!!! I would like my name written boldly on the list for a copy!!! I can hardly wait!! i'm so happy for you!!! where can is see some pictures or what is it about? WOW this is sooooo nice! I love Book Fairs! Tell us more bout your book, can you take pics of it? What is it about? Congrats! Oh sign me up for a copy...I'd love one. That's fantastic news Patricia! You can put Liberty's name down for a copy! This is amazing, you will be a published author!! Je t'écrirai bientôt par mail, je serai en vacances vendredi soir. OH, how exciting!!!! It must feel so good to be this far in the process! I can't WAIT to see the final book! I know it will be nothing less than beautiful!!!! I'm dropping back by to say that my guests will be back in time for the wedding. They are so excited. Of course, we are all excited over here, too! Hugs, Patricia. I'm still excited over your news! And thanks for introducing me to Rebecca Dautremer too :). COngrats! That is truly exciting news. 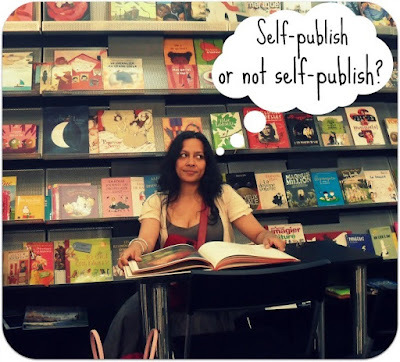 Please give the title/publisher of your book so that I can look it up online to order! Oh Patricia! I am jumping up and down in my chair right now. CONGRATULATIONS! This is such exciting news. I am sending you a big big hug and all the best wishes. Please put me down for a signed copy. :o))) I can't wait to see it! I am so very happy for you and believe it, something really nice IS happening for you! Books books books, I love books and I know I will love yours! I'd like to order a copy. oh for goodness sakes...this is just tooo fun and exciting! you and your dolls in print for us all too see. tell me how much to send and i shall. bravo!!! si j'ai bien compris tu vas sortir ton livre? on pourra le trouver en france? Did she just "bandon" us?